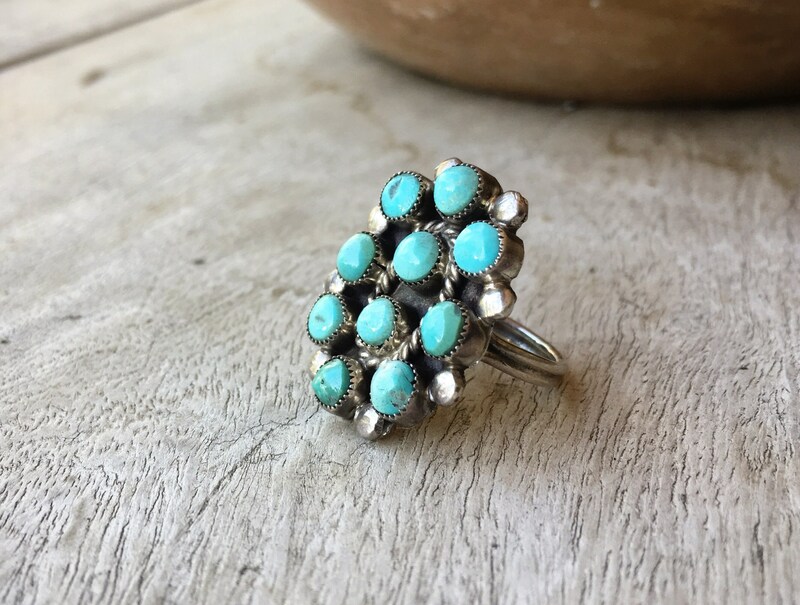 Here we have a great looking and feeling turquoise cluster ring made with very beautiful and very light blue-green turquoise. 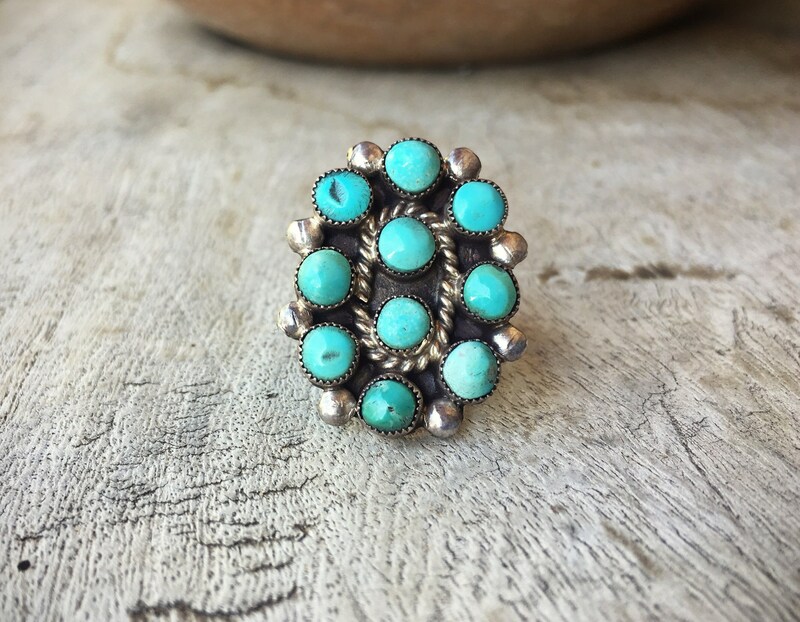 Ten round turquoise cabochons are set in sawtooth bezels, in the Zuni snake eye setting, and you can actually see the shaping of each turquoise piece to fit the bezels. 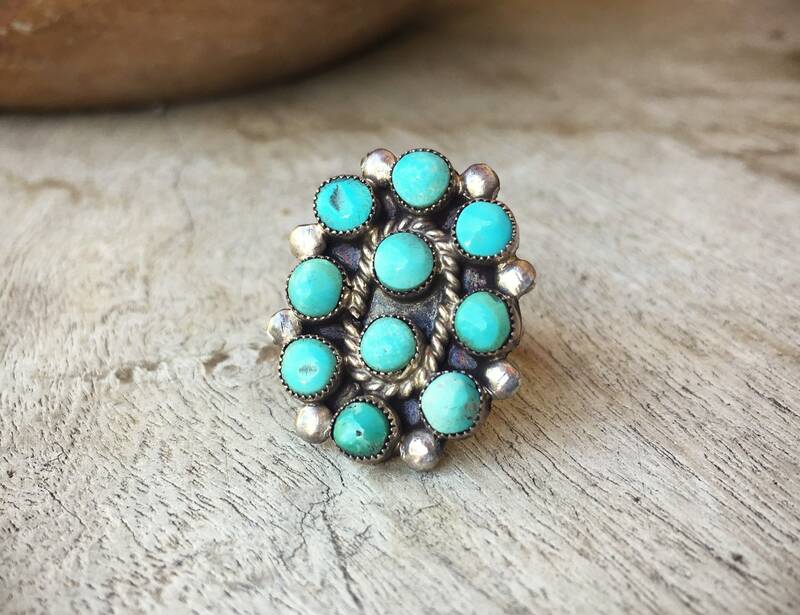 This is an Old Pawn piece, with oxidation in the background, and wear on a couple of the cabochons with dings and divots. You can also see the file marks on the back and sides of the silver, and we estimate this to be a 1940s to 50s piece. 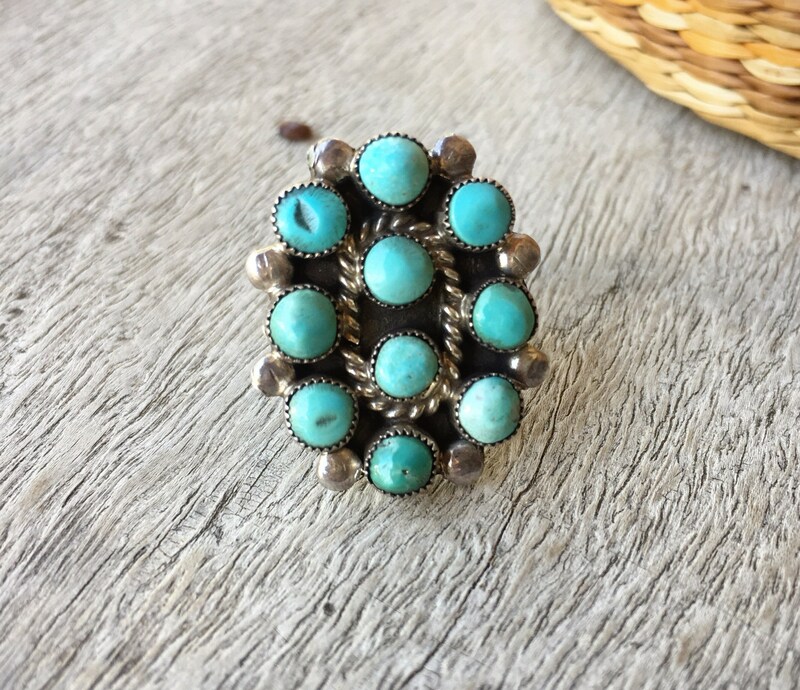 Since it is unmarked, we do not know for sure that it is Native American, but we believe it to be Zuni. 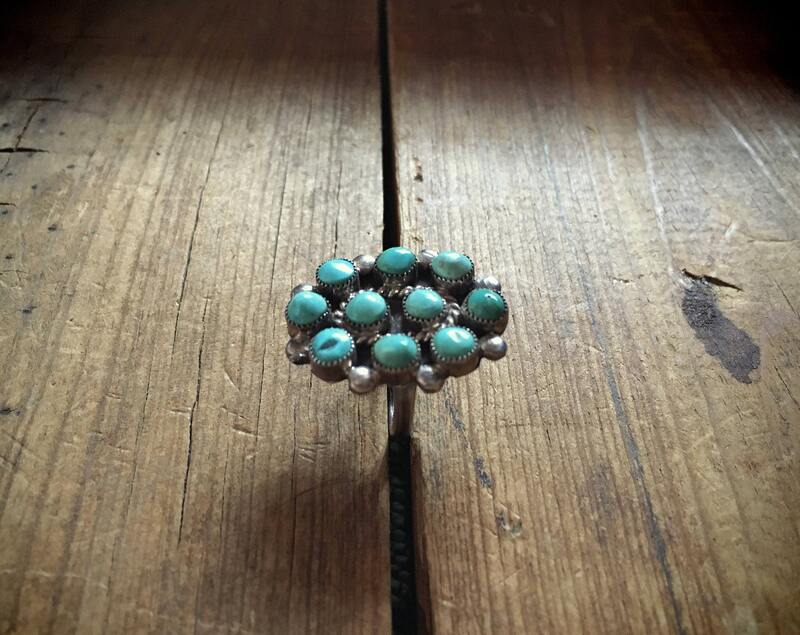 The ring face measures about 7/8" wide by about 1" long and the turquoise cabs come up about 1/8" high. 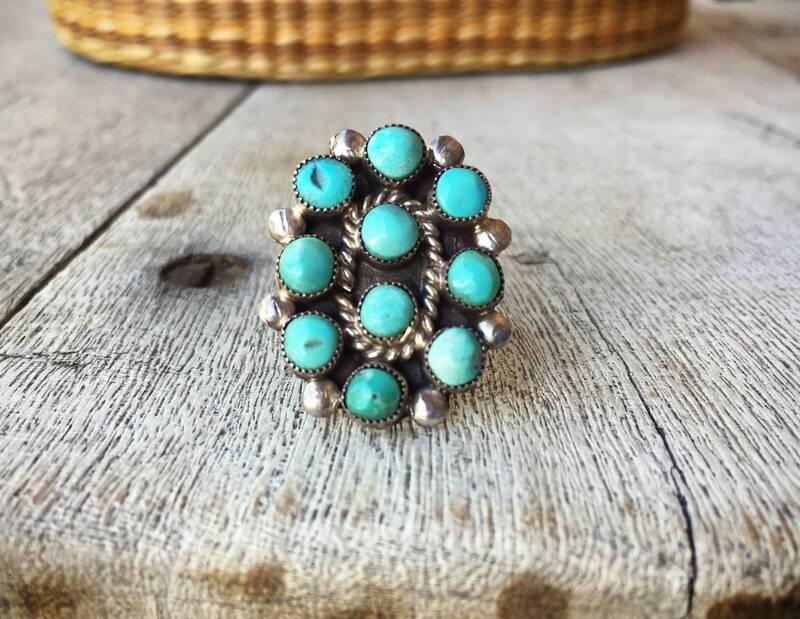 The size is 5.5, a small band as many vintage rings are. 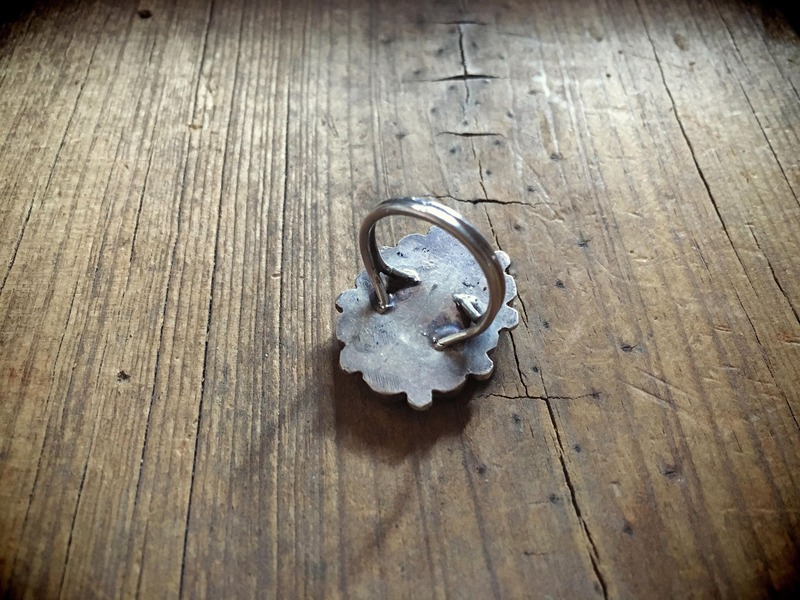 Sometimes with multi-stone rings you have to take out all the stones to resize the band, but if you are interested in a resizing for an additional $25, let me know and I can explore whether it can be done on this piece. There is no sterling stamp, but the piece does not magnetize. 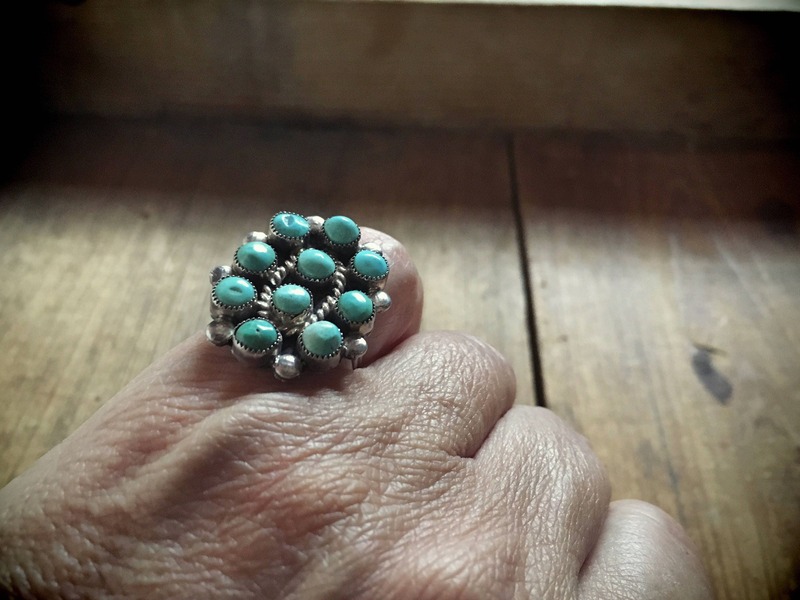 An old ring with lasting presence.